I was browsing the aisles of my local Dollar Tree looking for a Christmas wreath or swag idea. I am not into wreaths but I wanted something small for the front door so I literally walked up and down each aisle looking for ideas. The last aisle in the store was the kitchen gadget aisle with tons of stuff so I stood there and stared for a couple minutes thinking what could I do with this or that. 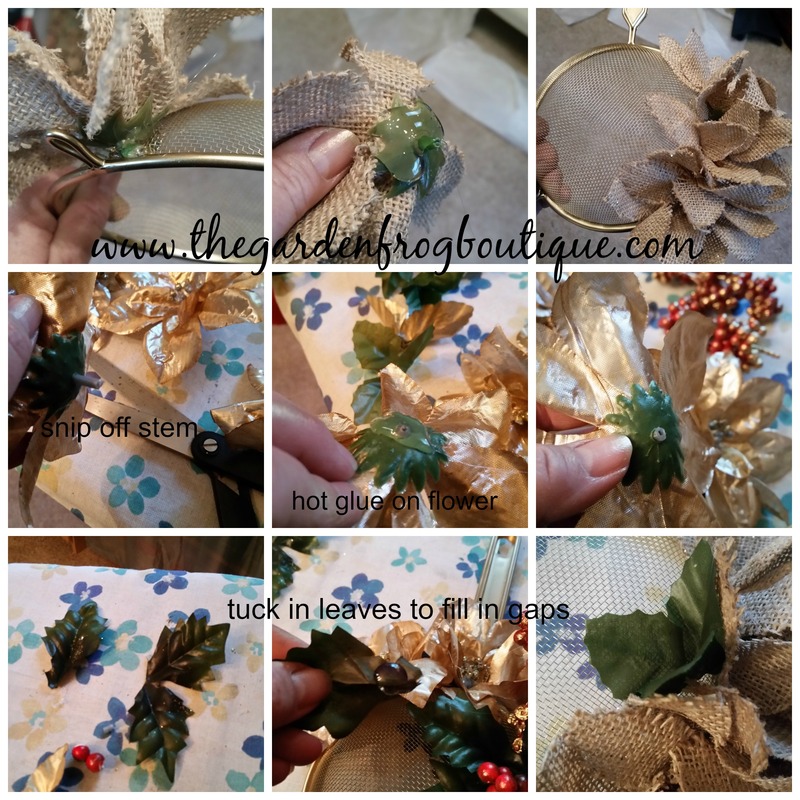 The small metal and plastic strainer would work perfectly since it already hangs and is a different shape than a traditional wreath or swag. 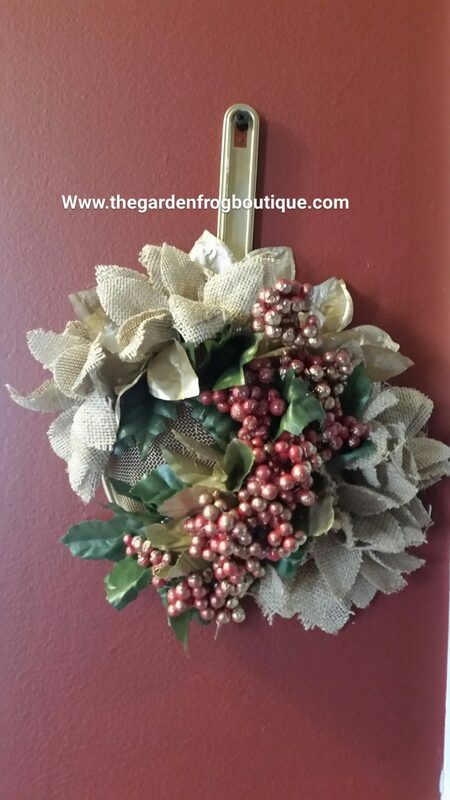 So back over to the other side of the store where I found burlap and gold poinsettias and some berries for the project. I already have a hot glue gun so I was set for my project and hopeful that this would turn out the way I had envisioned it. 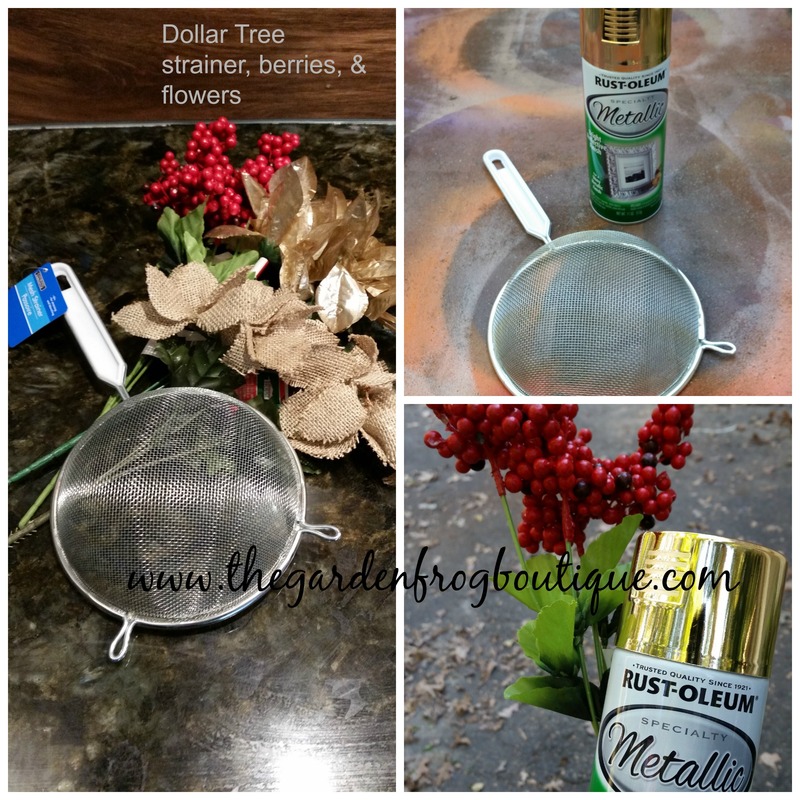 So home I went to dig out my Rustoleum Metallic spray paint and work bench to spray paint the strainer and the berries. Note: light coats on the plastic or it will run. 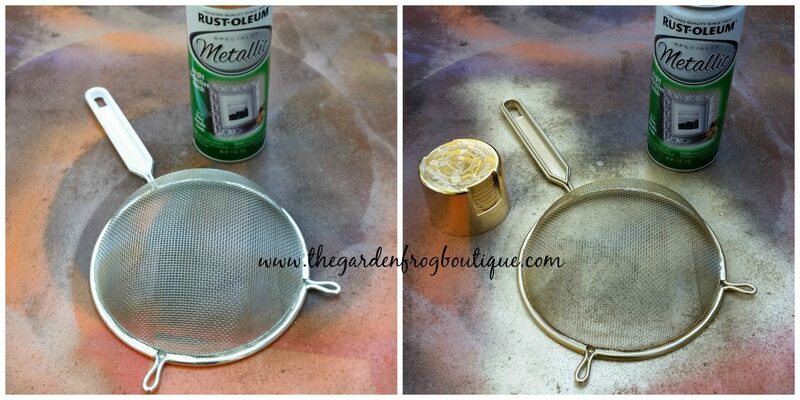 I let the strainer set for a day to make sure the paint dried (cured). The berries I learned very quickly to hold them farther away because they spray paint deforms them. So I flipped over the berries and lightly sprayed the berries to mist them to get the look I wanted. There is no set way to arrange the flowers or berries. I started on one side and arranged the burlap flowers and tucked in leaves to fill in spots. Then I added the gold flowers on the top going down the left side with some green leaves. There is no right way to arrange but I did hot glue the flowers tighter together for a fuller look. 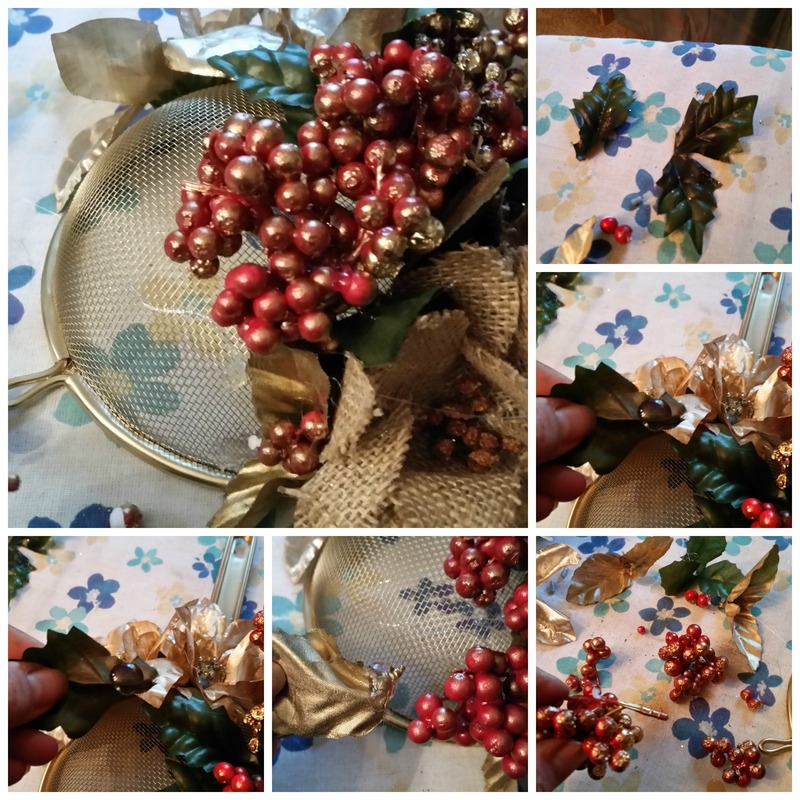 I decided to put the berries from top to bottom and break some apart so I could create a chain or row along the burlap flowers. Be careful because the hot glue can melt the berries. NOTE: the swag hangs a bit crooked so I remedied this by adding some more flowers to the left side.I hope I inspired you to think outside the box. 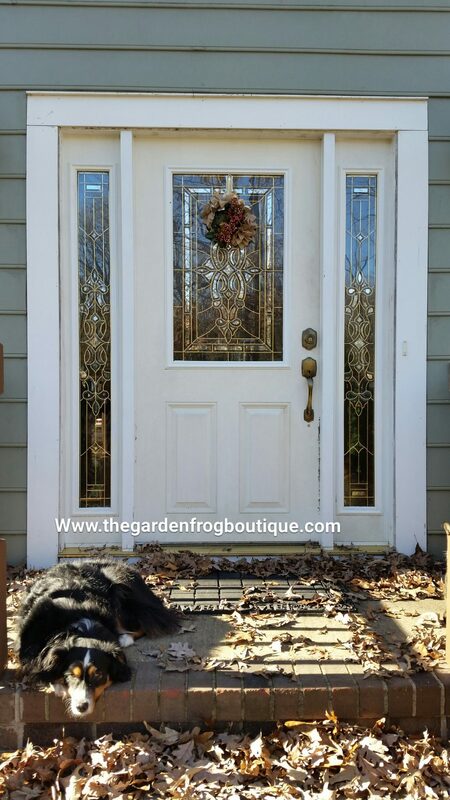 This project cost me roughly $6 at the Dollar Store and I hung it on my front door with Command strip hook. The sky is the limit for making this swag and now I am seriously contemplating making 8 more for my front windows to hang instead of the traditional green wreath. 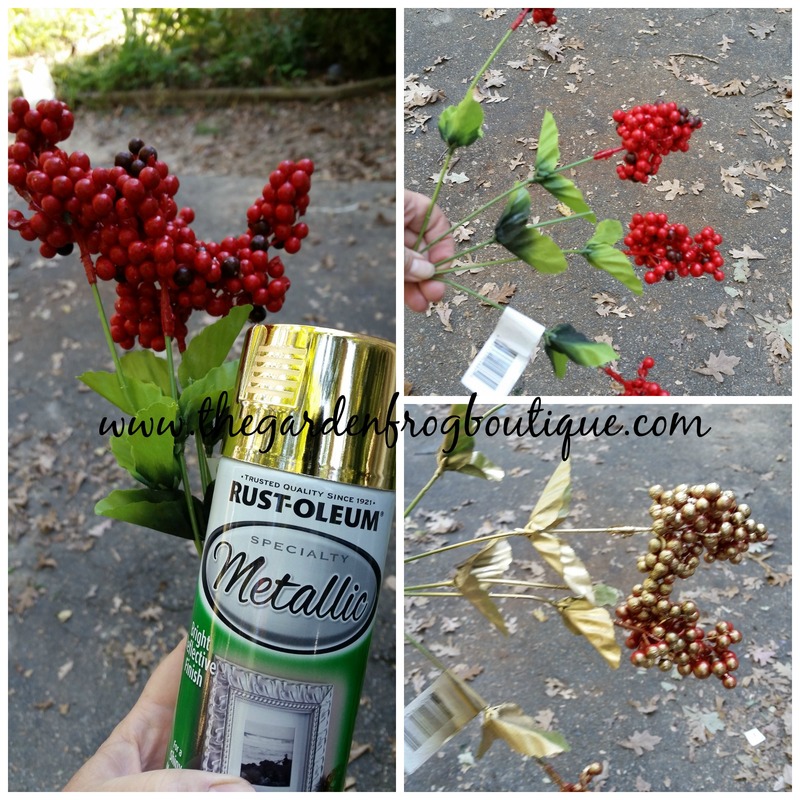 I felt very lucky to find burlap Poinsettias at the Dollar Tree.